So often I hear Westerners complain about innovation in China or about innovation from Chinese employees. There is a perception that Chinese people are great at following directions and working hard but poor at creativity and innovation. Yes, there is a cultural emphasis on respecting authority, following instructions, and sticking to one’s duties. There is also an understandable but often very strong aversion to losing face, and that can lead to hesitancy to speak out in a group setting when there is a risk of being wrong, and certainly weighs against challenging the views of leaders. None of this needs to be a barrier to innovation. But it’s easy for those barriers to seem insurmountable to Westerners. 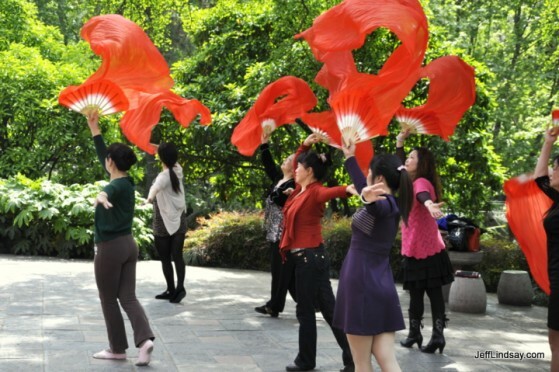 If you bring a team of Chinese employees together for a brainstorming session looking for fresh ideas, it’s very easy to get blank stares and a lot of people looking silently at the ground. A Westerner might interpret this as lack of creativity or unwillingness to innovate. But the real problem might be that the boss is in the room and everyone knows what the boss thinks is needed for the future. They aren’t going to challenge that directly. They also don’t want to risk being “wrong” by offering silly ideas. Or perhaps the problem is that they don’t trust you yet and don’t know what you’re really after. In my experience, respect for authority and a desire to follow the rules can be turned to advantage in an innovation session. The trick is helping them understand the process and giving them new rules that promote creative participation. And you must earn their trust and give constant encouragement. One type of innovation session I do with Chinese teams is aimed at rapidly creating enabled intellectual property to jump start an IP initiative. The goal is not just a list of wild ideas, but a few ideas that can be challenged, critiqued, and improved iteratively until we feel we can actually make it work and have enough detail for an enabled description (“constructive reduction to practice”). With a creative, technically competent team of 6-15 people, during the course of a day we may be able to product 5-10 concepts that seem novel and have enough meat to them to support a reasonably enabled invention disclosure that can then, pending more thorough prior art searching and business considerations, be turned into a patent application or defensive publication, as desired. In preparing one Chinese team for this exercise, I offered some sample exercises for associative thinking, one of the tools I use in my innovation sessions. I asked for their ideas and got nothing. Blank looks, looking at the ground, obvious discomfort. Few were willing to risk sharing new, untried, possibly crazy thoughts with the group, and this was without the boss being present. I then had to do some coaching. I explained that the rules today required us to express new ideas, that it was OK to be “wrong” and it would not just be OK but even necessary to point out the gaps and problems with our ideas so we could improve them. It was almost time for a break then, so I also added this: “And we can’t take a break until I get at least 3 ideas from this associative thinking exercise.” Suddenly my quiet, shy team started bubbling with interesting comments. And on each one, I offered praise and acceptance. When they came back from the break, as we did a few more exercises, I soon noticed that these kids were excitedly going the extra mile, trying to get as much as they could from the few minutes of time I gave them. And I found my biggest problem wasn’t getting them to talk, but getting them to stop talking. They wanted to go on and on explaining their creative concepts and how they could be used and all the variations they had thought of and so forth. I felt like I had struck oil. When I met with them a few days later to get deep into a particular new product concept and tap their thinking, the problem once again was getting too much, not too little. I found them to be enthusiastic inventors anxious to contribute and perhaps even to show off a little. Group exercises added a touch of competition where being quiet would be the way to lose face. By making the rules encourage participation, by reducing risks of losing face, and by giving them positive experiences as they participated, I found that they were every bit as creative if not more than American teams I’ve worked with, and was often impressed with their contributions. Don’t assume that your Chinese team members are naturally less creative or innovative than Westerners. 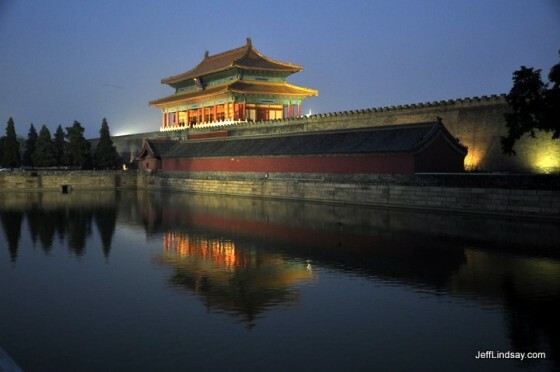 It’s easy to focus on the moat and wall that China, in Western eyes, seems to have around the “forbidden city” of innovation. In reality, access is easy, but you’ve got to use the right approach and find the (very large) entrance. Recognize that there are cultural differences that need to be bridged, but when you set up your innovation efforts appropriately, you can obtain great results regardless of where your team comes from.